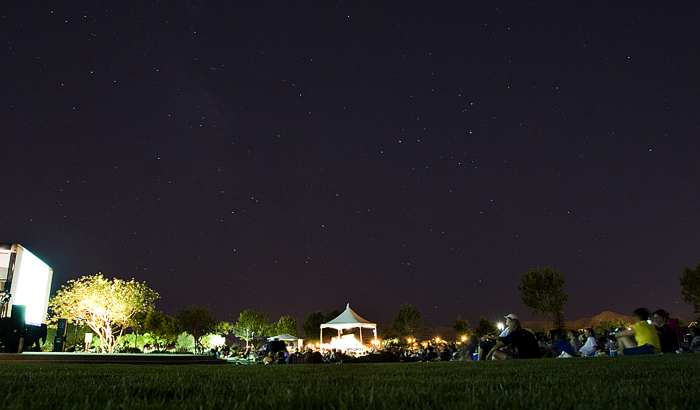 Mountain's Edge is doing a "Movies Under The Stars" thing each Saturday night in August. Tonight, they showed The Princess And The Frog. This worked out perfectly because it's Laura's birthday and she loves this movie. If you look hard enough, you might even see Evangeline in the sky. August 21 - The Power Of Aladjova! August 17 - Holy Orzo Batman!